No one ever moves into a 'perfect' home. 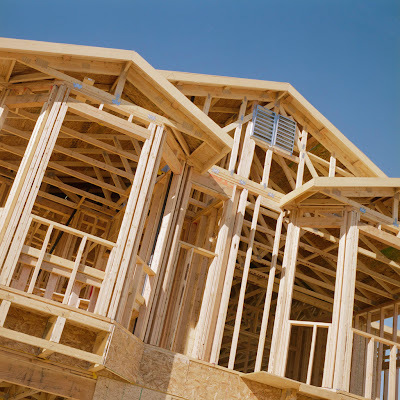 Even if you custom built your dream home, it would take a few years to get it just right. Things like curtains, rugs, accessories, and of course the furniture, take years to get 'just right'. And then, just when you think you've got it-- something will change. Children's age, your hobbies, your husband's job, or just your taste in decor will shift slightly. As the people in your home change, the house will need to evolve to meet the needs of the occupants. Maybe a guest room will have to be changed into a nursery. Maybe your husband will allowed to telecommute and thus need a home office. Maybe your mother will move in and now your kiddos will have to share a room. Or maybe you just get sick of something and want a change. Remember when I was drooling over that giant red brick 'diamond in the rough' last month? Well it got us thinking we needed more space. Our home is an open floor plan- anyone else have one? I love it because it is perfect for entertaining. It flows, it allows conversation between the kitchen and the family room. But since it is open, sometimes it feels like we are always in the same room. We eat, hang out, watch tv, play games all in the same room. Now it is a lovely room and I adore it, but it got us thinking... how could we better utilize the rooms in our home? Where else could we hang out when we needed a change of scenery? And what were we doing with all of that other space???!!! Then we went upstairs and there it was-- our big playroom. Last year I had lovingly redecorated it. At that time I took it from the 'catch-all' room to a pretty space for the girls to gather. But over the year, since it was just the playroom, no one over the age of 5 ever used it much. Sure we would sit on the floor and play dolls or kitchen with the girls. But it was never a spot I would go read a book or that my husband would use to watch movies. 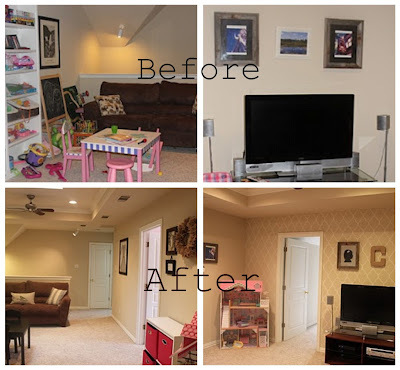 The room 'did was it designed to do'- it functioned as a space for the girls to play. Trouble was, the little table and chairs, the new puppet stage that Santa brought, the baby dolls... they weren't really creating a space that the entire family could all use. That's when the lightbulb went off. It seems obvious now as sit down and I write this, but seriously why were we devoting an entire living area to Barbies when we could be using it as another family room?! So that began our latest 'home evolution'. 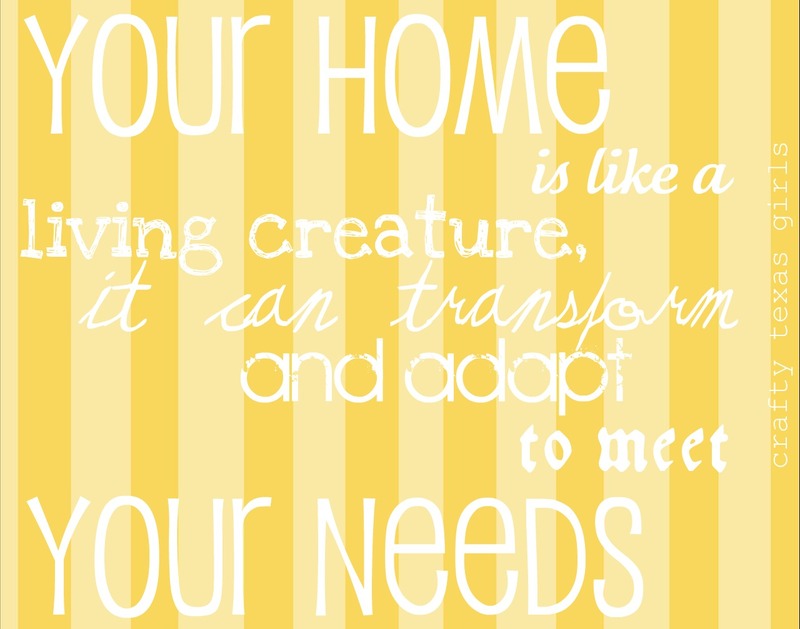 Use the space in our home for what we actually need! Most of the work is done, but you know me, I like a big reveal. So you're going to have a wait a bit to see it. In the meantime, think about your home. Are you getting the most out of your 'square footage'? I have to say, with our 'new upstairs family room', I honestly feel like we are living in a bigger home. 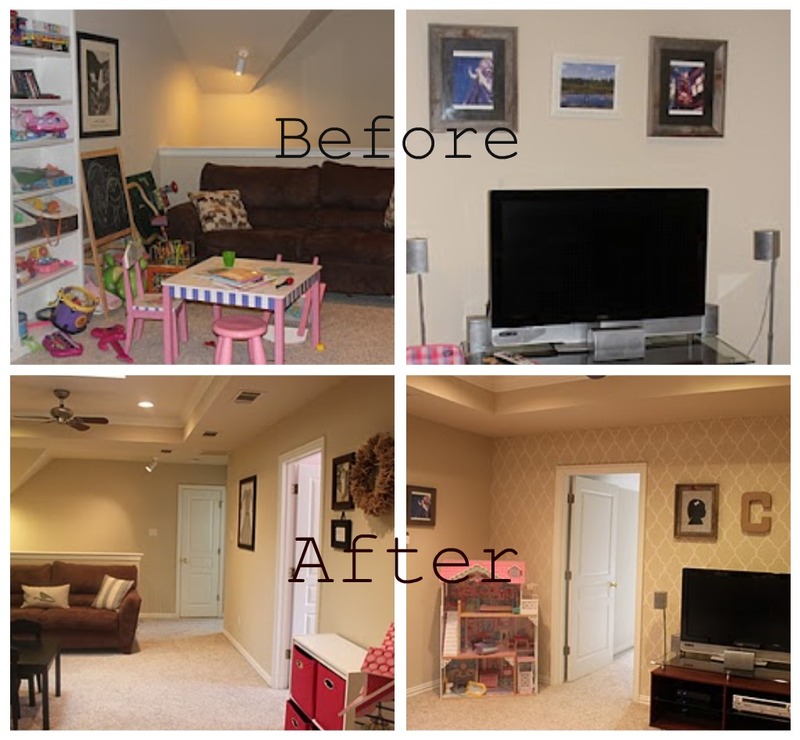 A few small changes can really make you fall in love with your home all over again! 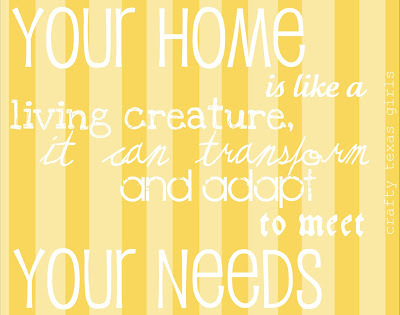 What kind of evolution is needed in your house? Oh, I can not wait to see the transformation!!! Hurry!!! Great post! We've had the majority of our downstairs completed for about 2 years. We still have a guest bedroom and bath to complete. Then, we have the upstairs-4 bedrooms and 2 bathrooms and nothing has been done. Hopefully, that will be checked off our To Do list this year! We need that "home" feeling. We need the flow from one room to another. Sometimes it gets overwelming. Don't worry Stephanie- I've got to get it done... we are having a Super Bowl party on Sunday! Oh that room is going to be awesome and I am so looking forward to Cowgirl Up. Giddee Up! !